Hernandez, Lee, and a Rohm RG10 .22-caliber handgun like the one police say they recovered. 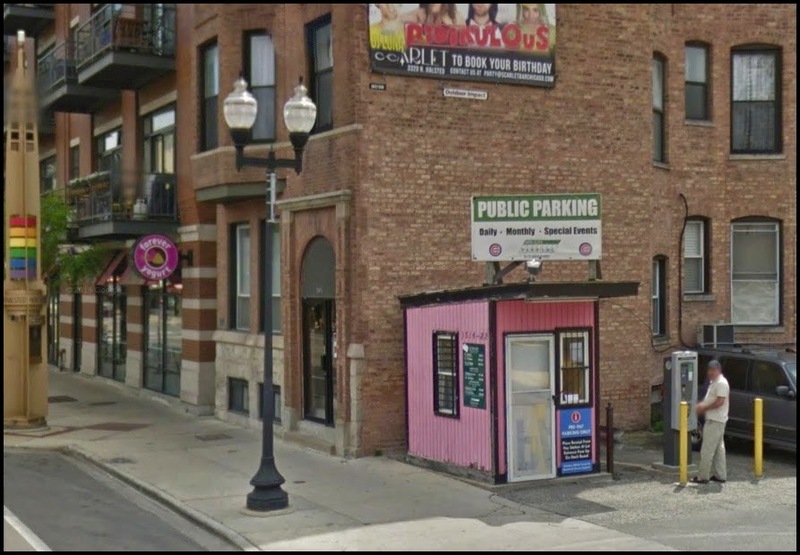 A convicted felon who sells cocaine in Boystown and his new girlfriend are facing weapons and other charges after they got into an argument and dropped a handgun that discharged on the Halsted bar strip on Friday evening, police say. Units soon found Jahmal Lee and Karen Hernandez in the parking lot of the now-shuttered Walmart Express, 3626 N. Broadway, police said. An officer said he saw a gun barrel sticking out of Hernandez’s purse. She told the officer that the gun belonged to her dead husband, who was a member of the Maniac Latin Disciples street gang, police said. She even showed the officers a photo of her hubby wearing a gang sweater and holding the gun. According to Hernandez, she and Lee went to Boystown to finalize a sale of the gun that Lee had arranged, police said. But the couple began to argue before the deal went down and Lee threatened to call the police and tell them that she was carrying a gun. “Fine,” Hernandez said, “I’ll give it to the police!” She then dropped the gun, causing it to discharge, according to a report. Meanwhile, Lee—a member of the Gangster Disciples street gang—was carrying two knives, a can of chemical Mace, and 11 small knotted bags of suspected cocaine, according to court records. Police say Lee told them that he came to Boystown to meet a cocaine buyer and Hernandez came along with a revolver that she planned to deliver to someone on Peterson Avenue. But, before that could happen, the couple got into an argument and Hernandez threw the gun on the ground, causing it to fire, Lee said in a police report. Lee told officers that he carried the two knives and chemical spray to protect himself from Hernandez’s relatives who don’t like him, police said. 52-year-old Hernandez lives in the Dunning neighborhood. She’s charged with aggravated unlawful use of a loaded handgun and reckless conduct. Lee, 42, lists Hernandez’ home in the 3500 block of N. Natchez as his residence. He’s charged with narcotics possession and possession of a deadly weapon. The valet booth where Lee was arrested in 2014. This is the second time that Jahmal Lee has appeared in a CWBChicago report. He was charged with possessing a knife in November 2014 after police found him and two other gang members “hiding” behind a valet parking booth in the 3500 block of N. Halsted. The charge was eventually dropped. He has served prison time for narcotics and robbery, according to state records.